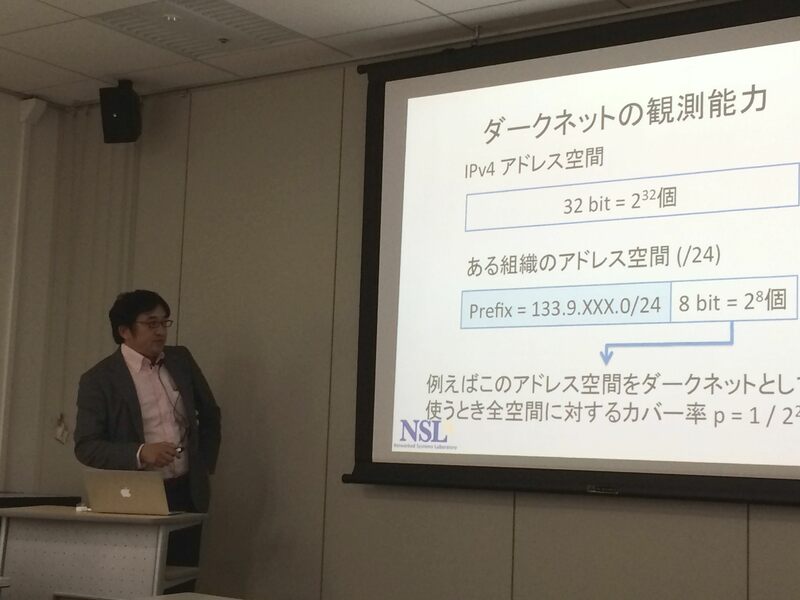 An invited talk was given by Mori at NetSci research workshop last week. The title of the talk was “Network security and unnatural science”, which gathered two recent research topics conducted in our lab. This entry was posted in 未分類 by mori. Bookmark the permalink.